Think you don’t need another chicken recipe? Think again! These moist baked chicken breasts are so juicy and tender, you’ll never bake chicken another way! For some reason, it feels a little anti-dietitian that my last recipe before this post included plenty of sugar and that this here recipe for moist baked chicken breasts has good old mayonnaise in it. But really, my hope is that you see me and this blog for what it is and who I am when you read recipes like this. I won’t discriminate against any food [unless it’s bologna and meatloaf] and not every recipe of mine has to include quinoa, kale, or avocado oil. In fact, I don’t think I own any avocado oil! Besides, a little mayo goes a long way. And Ted if you’re reading this I’m sorry I tricked you into liking this chicken! He’s not a mayo or condiment fan… unless I’m bringing out the BBQ sauce. I got two thumbs up from the man of the house [DON’T TELL HIM ABOUT THE MAYO] after he tried these moist baked breasts [he had two!]. Joey didn’t touch it and neither did Anthony. And Lily ate her portion dipped in ketchup. I really can’t complain because I took my portion, sliced it, and warmed it in tortillas with jalapenos and cheddar cheese. So, we all sort of ate something different last night. I gave Joey a pass because I sent him to basketball with a friend while I stayed home with a sick Anthony [I thought cold season was supposed to be over after the first day of spring?!] so when my guy came home asking for quesadillas, he received! And thanks to cold 3.0 Anthony didn’t eat any dinner. But he did drink half a can of gingerale so I’m getting some calories in his little tummy when I can. While J was at basketball and A and L were curled up on the couch watching a movie, I prepped dinner! I’ve been pretty quiet on the blog and wasn’t sure when I was going to get this recipe for baked chicken breasts, so I quickly shared the recipe on Instagram last night. I’m sort of in this conundrum with the blogging world: I love writing and sharing with you all, but it takes time and energy, a lot of which I don’t have at the very beginning or end of the day. Sometimes, Instagram just seems easier and more efficient! But then how can I continue to connect with all of you?! Ok so I’m clearly not going to stop blogging anytime soon, but these are the things I think about when it comes to juggling my sanity, family, and career. If you’re a wise old owl and have the answer, please email me and let me know your tips and tricks! 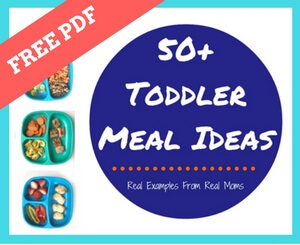 And if you’re just looking to feed your family with easy recipes while drinking a cup of reheated coffee AND you just might be running on limited time and patience [ME TOO! ], then give this baked chicken recipe a try. Just don’t forget the mayo! Preheat oven to 350. Add ingredients to a large mixing bowl. Cover chicken on both sides with Panko Parmesan mayo mixture. Place chicken on baking sheet [I used a baking rack so the bottom of the chicken became crispy too] and bake for 25 minutes, or until chicken is cooked through. Turn oven to broil and broil chicken breasts [from middle rack] for 2-3 minutes. Serve with your favorite whole grain and vegetable sides. Thanks for this recipe! My husband hates yogurt and mayo but he LOVED this one and ate the entire portion. Thank you! I have a similar recipe that is one of my daughter’s favorites – mine also has dried minced onion and a squirt of whole grain mustard mixed in. So good!